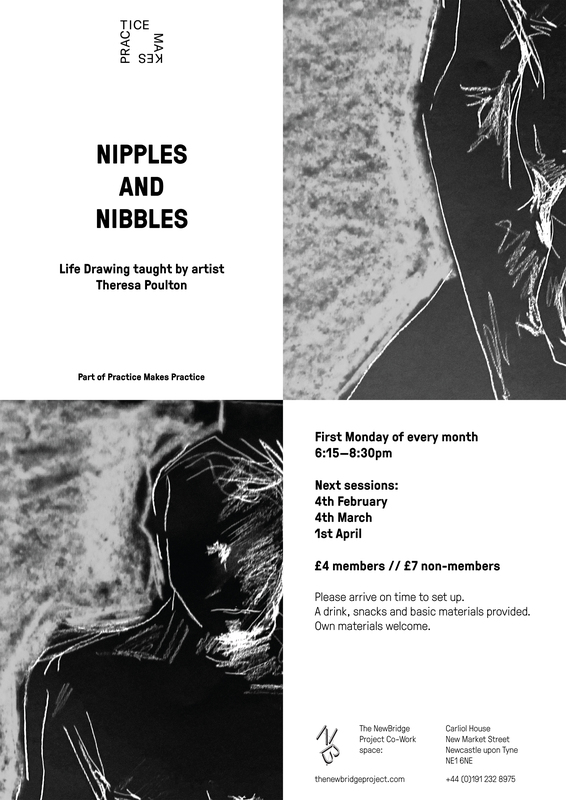 Come join us for an evening of Life Drawing in The NewBridge Studios Co-Work Space as part of Practice Makes Practice. All levels of experience are welcome, and the session will be taught by artist Theresa Poulton. Paper and charcoal will provided but if you would like to work with anything else please do bring it along. The price includes some nibbles and a drink following the life drawing session. Please meet in the foyer of Carliol House before 6.15pm. The session will start at 6.30pm sharp and there will be no admittance following this time. Life Drawing is a regular event programmed as part of Practice Makes Practice, it will take place on the first Monday of the month unless otherwise advertised. Practice Makes Practice is an artist development programme run by artists for artists. Practice makes Practice focuses on developing artistic talent and equipping artists with the necessary skills to manage their practice, bridging the gap between art school, studio practice, the gallery and beyond. Accessibility: NewBridge Newcastle has limited accessibility, this event will take place in the Co-Work space of NewBridge Newcastle. We regret, due to the age of our building and its change of use we do not have a functioning lift. Please contact us prior to visiting if you require additional information regarding access and facilities.